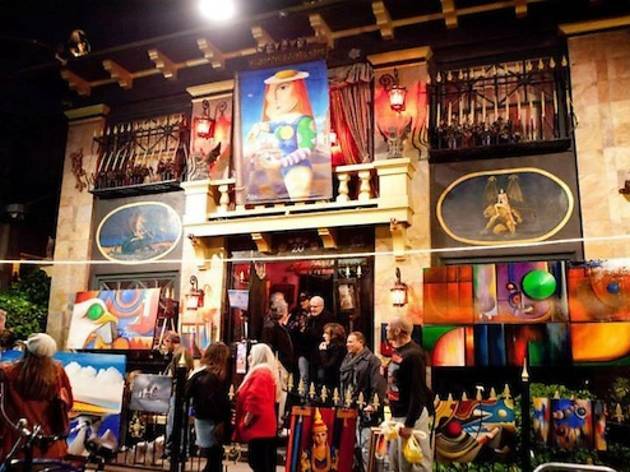 Spend a night at the beach while supporting your local creative community at the quarterly Venice Art Crawl. Cruise down to the heart of the event at 23 Windward Ave in Venice, and begin your meandering from there—spectacles include everything from fine art exhibitions and tattoo studio showings to multimedia and blown glass displays. In addition, there'll be interactive children's art therapy sessions along with free bike tours to guide you through the art displays. The eclectic mix of work is created exclusively by local artists, and admission to all exhibitions is on-the-house. Check out the event site for more artist and scheduling deats.